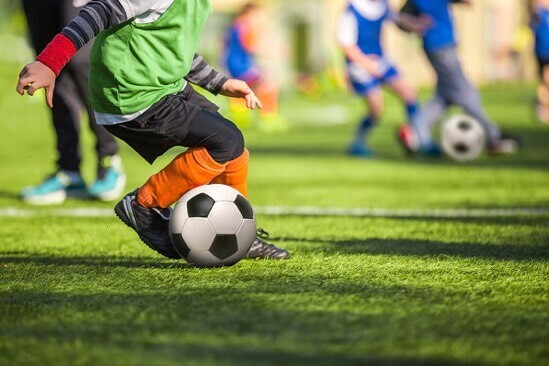 The Youth Soccer Tactical Movement Specialist Certification is full of drills and games that allow young athletes to develop their skills, understand team play and appreciate the sport. From fundamental skills and goalkeeping to tactics and game intelligence, to spatial concepts and movement drills, all are easy to follow with clear descriptions to develop season and training plans, organize sessions to advance players. Our comprehensive certification provides all the tools needed to establish you as the expert and give you the necessary Youth Soccer Tactical Movement Specialist Credential to showcase that you specialize in this niche market. The Youth Soccer Tactical Movement Certification course is suitable for a wide array of health experts and professionals including personal trainers, group fitness instructors, chiropractors and chiropractic assistants, soccer coaches, physical therapists, massage therapists, athletic trainers, registered dietitians, occupational therapists, safety experts, physical education teachers, recreational activity instructors, registered nurses, physicians, osteopaths and other allied health professionals. Show off your Specialist Credential with our Distinguished “Professional Youth Soccer Injury Prevention and Wellness Specialist” Certificate. I am now given the opportunity to work with children soccer teams. I will be able to create structured programs that will work for all age ranges. I learned basic drills that can easily be implemented in my training programs. Very educational. Lots of examples with a systematic organization and a greater understanding in the progressive development of youth soccer tactical movement. Absolutely recommend! Very interesting. The animations are very helpful. Headings and subheadings were easy to follow. Excellent drill and tactical movement exercise selection. Great course!! !